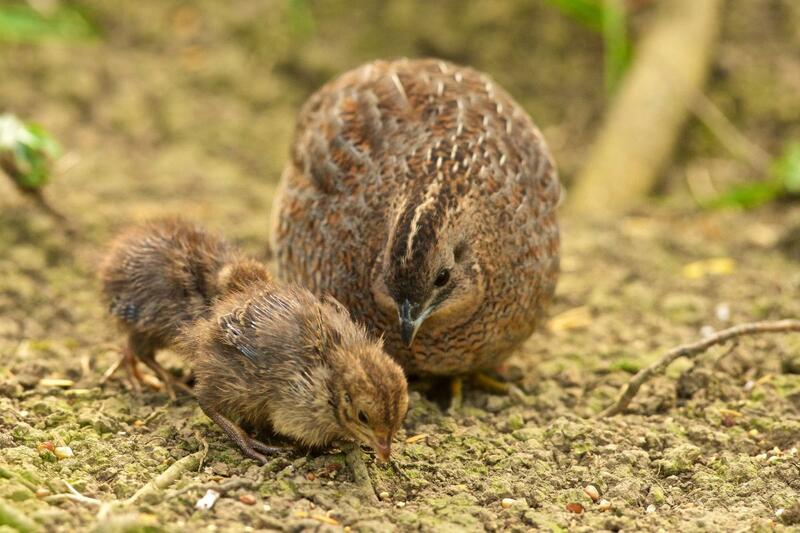 Geographical variation: New Zealand brown quail are of the subspecies Coturnix ypsilophora australis from mainland Australia. 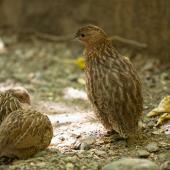 Brown quail are small, inconspicuous grey-brown quail, with intricately patterned plumage. 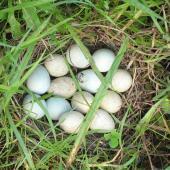 The sexes are similar, but the female is slightly larger, and there are subtle differences in their plumage. The male has a more pronounced russet or cream throat patch, and bolder white longitudinal streaks on its upper-wing feathers. The red-brown and dark brown chevron pattern on the flanks of the female are more prominent compared to the lighter colour of the male, and the chest feathers of the female are red-brown compared to grey-brown on the male. 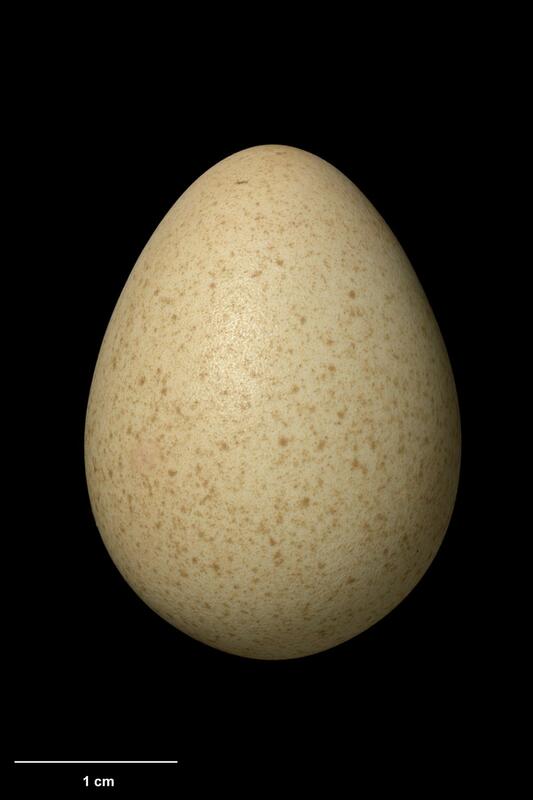 Eye colour varies from red to yellow and the legs are orange or yellow. Both sexes have black bills. Voice: the main call is a high pitched 'ker-wee' with a rising inflexion. 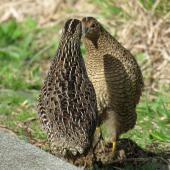 Similar species: California quail are large, plainer grey-brown dorsally, and have an erect plume crest. 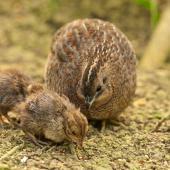 Although released throughout New Zealand, the range of brown quail retracted gradually northwards. It is now mainly confined to East Cape, the Coromandel Peninsula, North Auckland and Northland, plus Moutohora/Whale Island, several islands in the Hauraki Gulf and north to the Three Kings Islands, with scattered records south to the Manawatu. 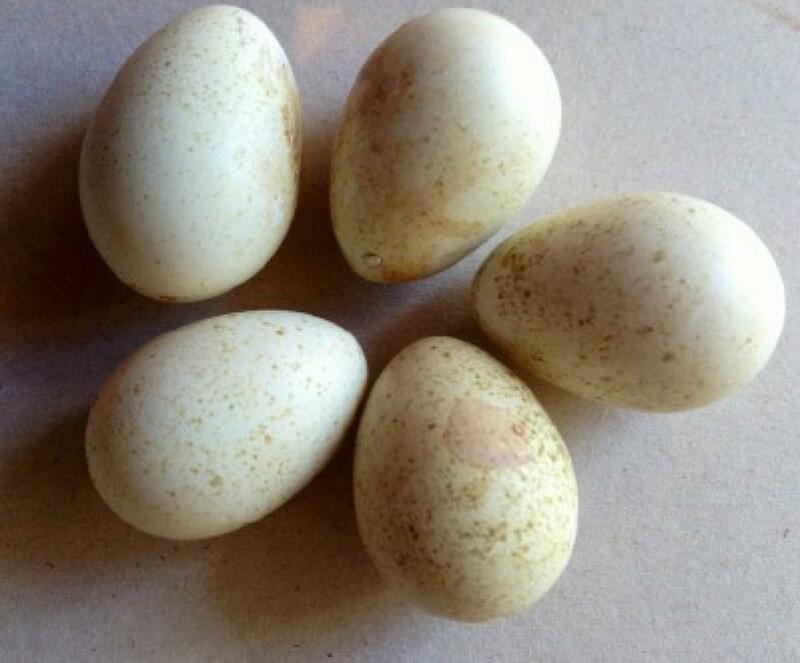 There are no records of quail being introduced to offshore islands, which indicates they are capable of flying considerable distances. 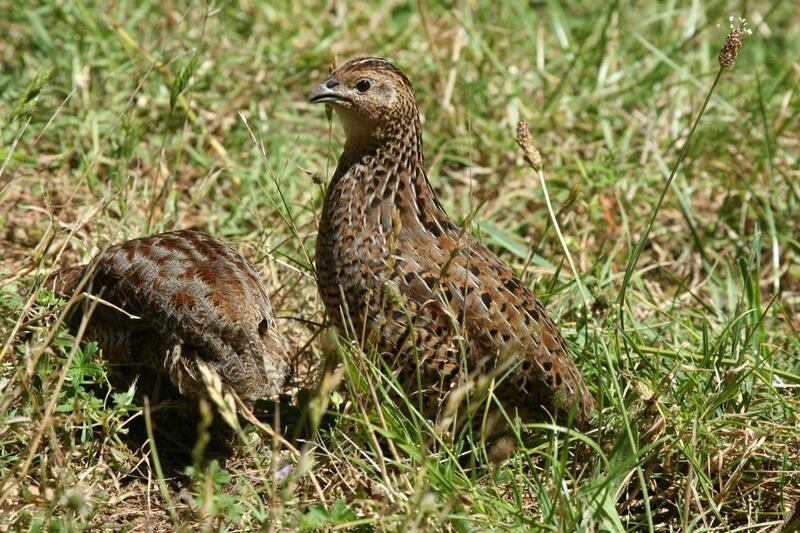 Brown quail became common on Tiritiri Matangi Island and in Tawharanui and Shakespear Regional Parks following eradication of introduced predators. 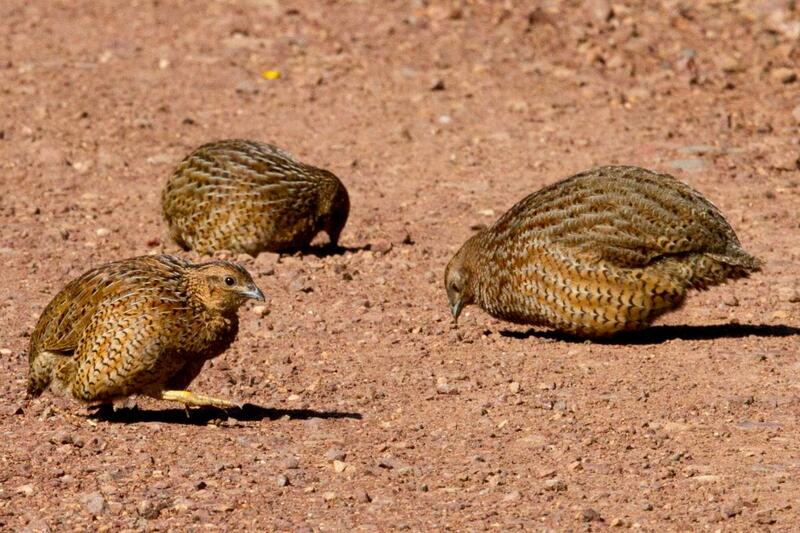 Brown quail are cryptically coloured to blend with their preferred habitat of scrub and rough grassland. 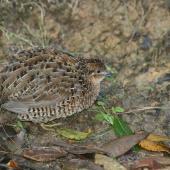 In both Australia and New Zealand, brown quail are frequently seen around wetland margins and on road verges. 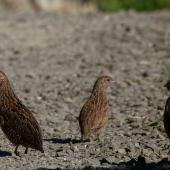 The largest populations of brown quail are in the Far North and on introduced-predator free islands of the Hauraki Gulf and the Bay of Plenty. 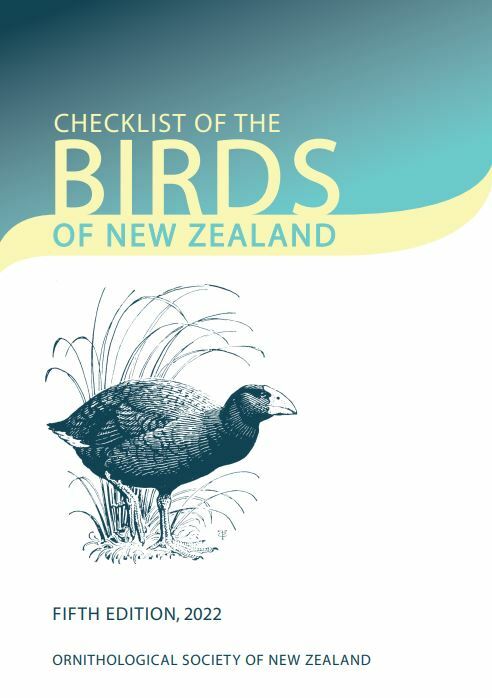 The population on 220 ha Tiritiri Matangi Island is estimated to be 200-300 birds. 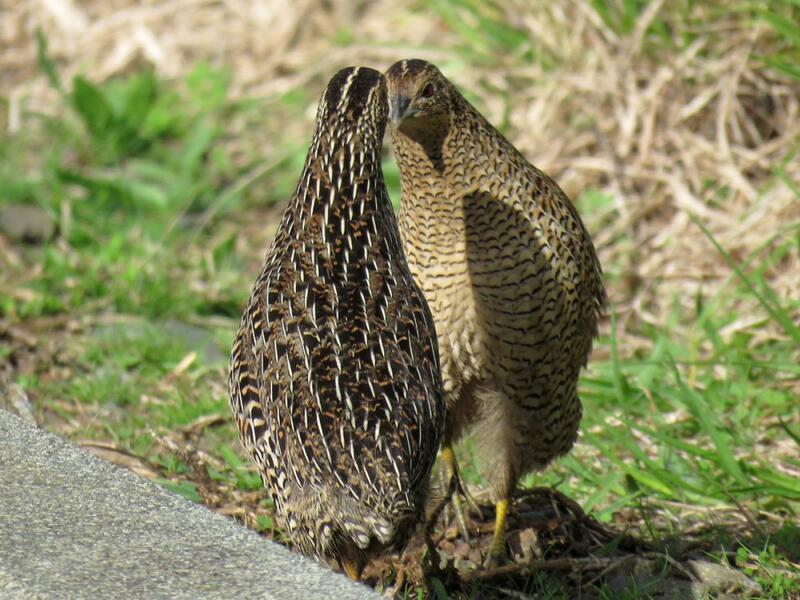 Brown quail form breeding pairs in spring. 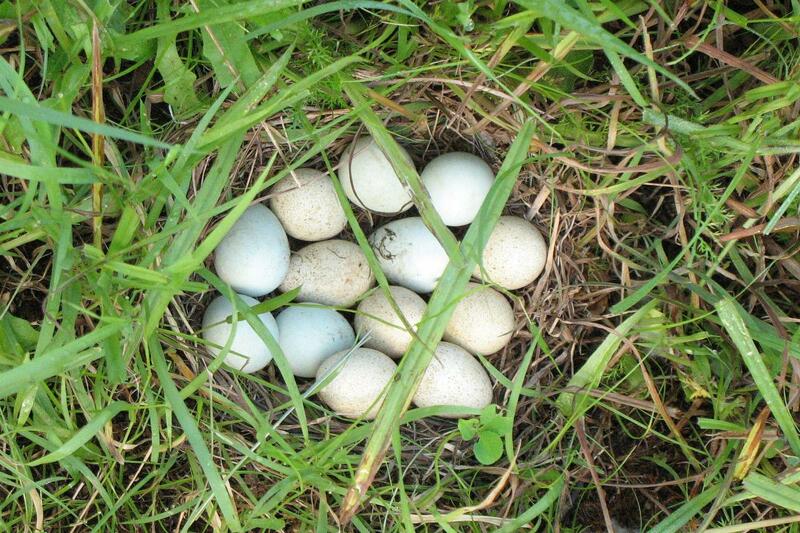 Eggs are laid between July and January in a simple scrape in the ground or flattened grass, Nests are well hidden under dense vegetation, and both they and the incubating female are very difficult to detect. 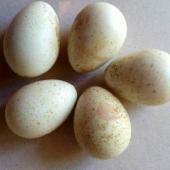 Once hatched, the precocial chicks gather in extended family group coveys. 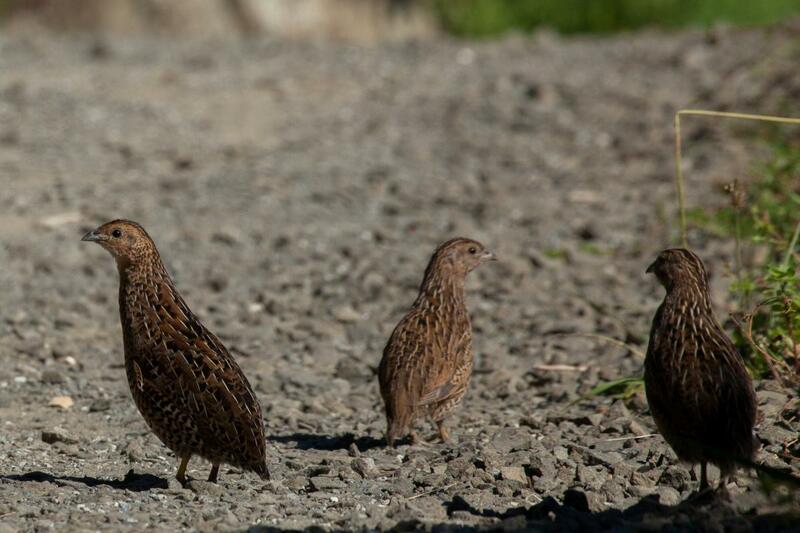 Brown quail give a range of shrill, piercing calls that carry through thick undergrowth and are used to bring covey members together. 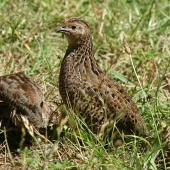 Outside the breeding season, the family group breaks up and most quail are observed as pairs. 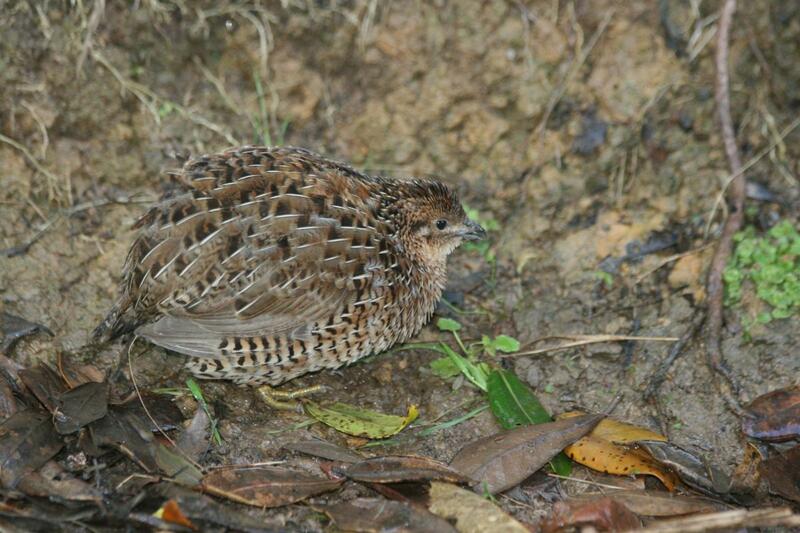 Brown quail do not defend territories but do occupy a defined home range. 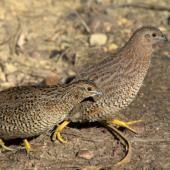 In Australia, brown quail are nomadic, moving between suitable habitat for foraging and breeding. 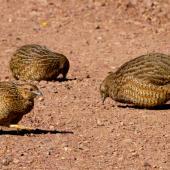 Brown quail often dust bathe in open dry sunny patches on the edges of shrubland. 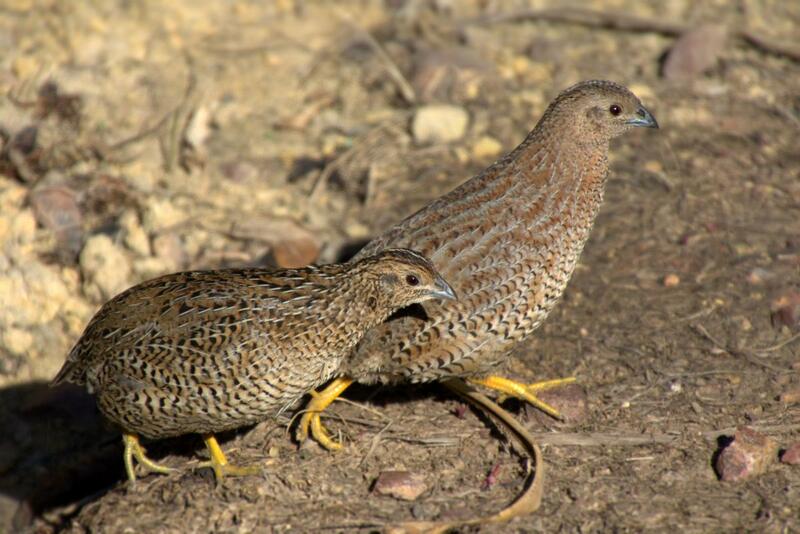 Brown quail glean from low foliage and forage in leaf litter for seeds, leaves, flowers and invertebrates. Analysis of faecal samples showed a high proportion of invertebrate parts. Cheeseman, T. F. 1887. Notes on the Three Kings Islands. 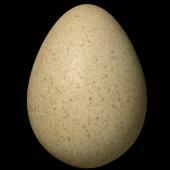 Transactions and Proceedings of the Royal Society of New Zealand 1868-1961, Art. XXII. Cup-shaped indentation of flattened grass or scrape in ground under cover. 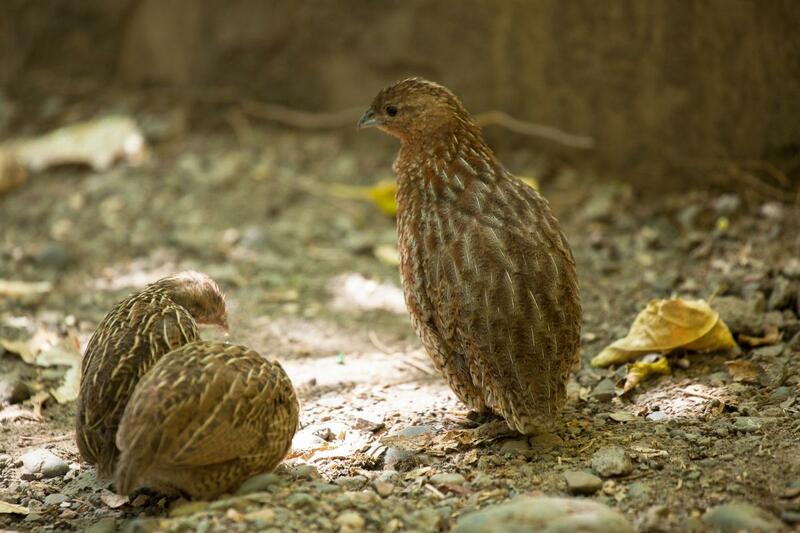 A small grey-brown quail with intricately patterned plumage, a short black bill, red to yellow eyes and orange or yellow legs. The sexes are similar with females slightly larger and males having a more pronounced russet or cream throat patch, and bolder white longitudinal streaks on its upper-wing feathers.